Ben's Tick & Insect Repellent brand lotion and pump spray repellents contain DEET, the most effective tick and insect repelling ingredient ever developed. Water has replaced alcohol in Ben's 30 Tick & Insect Repellent. Because water does not evaporate as quickly as alcohol, and does not open the pores, the need to frequently reapply the repellent is reduced. 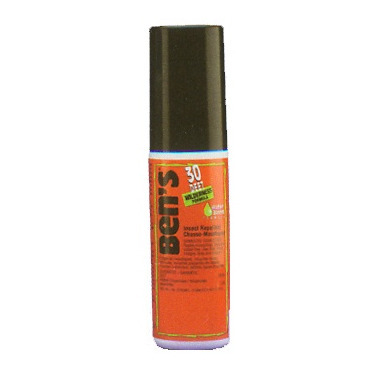 Thus, Ben's 30 Tick & Insect Repellent will be an appropriate choice for protecting children as well as adults and it leaves more insect repellent on the skin so that it fights against biting insects longer. When using any DEET product a consumer should always follow the manufactures on the package for all types of activities to reduce misuse of the product.